Our compilation of games like Overwatch features high quality multiplayer first person shooters that let you command a variety of characters and roles. Overwatch is Blizzard’s step into the first person shooter arena, going into a 2015 beta with a 2016 release. 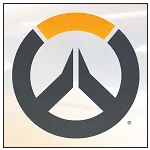 Focused on co-operative gameplay and the use of various heroes that bring their own abilities and roles to the field of battle Overwatch borrows but also enhances mechanics from the games before it. The setting for this fast paced and varied shooter is a futuristic Earth where artificial intelligence has created global conflict on a mass scale. Gameplay pits small teams of other players against each other on a variety of maps and game modes with varying objectives. A number of these maps draw inspiration from real world locations. In order to participate players select from one of the available character who broadly fall into the roles of offence, defence, tank and support. These archetypes alter the playstyle of each character and their available abilities, giving the game an almost MOBA feel. This list of games like Overwatch features the best titles in the first person genre. Focus has been placed on shooters with class mechanics that alter your role and abilities along with games that instead focus on your weapon and gear loadout have also been included.